It was on a biting cold pre-dawn morning in August 1956 that thousands of women, among them young mothers with children on their backs, and grandmothers, their backs steeped with old age, waited in queues at bus and train stations around South Africa for their transportation. Some travelled in groups, while others journeyed alone. Those with means had provisions for the long journey, while others could not afford a meal. Many of these women travelled by foot, some – like Mme Rebecca Kotane – walked all the way from Alexandra township in Johannesburg to the capital. The women were from vastly different backgrounds, spoke different languages and many were strangers to each other. But they were united in their sense of common purpose, to march to the Union Buildings, the seat of Nationalist Party power, and deliver their demands to then Prime Minister JG Strijdom. Mama Albertina Nontsikelelo Sisulu started this historic day at Phefeni Station in Soweto at 2am handing out train tickets to the many women who were determined to march to Pretoria. Mama Sisulu drew a powerful image. This young woman – a nurse, a wife, a mother, an activist – already awake and active while South Africa slept, urging her countrywomen to get on the trains. Many would have undoubtedly had misgivings, or been scared of what they were about to do, and it would have been words of encouragement from Mama Sisulu that would have convinced them of the necessity of their course of action. Few things better embody the spirit of Thuma Mina – of saying yes, send me – than the image of Mama Sisulu at the train station that morning at 2am in 1956. It speaks to the spirit of selflessness, of wanting to be part of a greater cause, and of wanting to be part of a broader movement to transform one’s community and society. Mama Sisulu’s life is a chronicle of service to her fellow people, and bears witness to the fact that small actions of activism hold equal weight to bigger ones. She led the Women’s March in 1956, but she also undertook smaller actions of protest that carried heavy weight, such as withdrawing her children from a local government school in 1955 in protest against Bantu Education. Together with her husband Tata Sisulu they opened up their home to provide ‘alternative schooling’ for the children of families who had also taken their children out of the apartheid education system. After the liberation movements were banned and most of its leaders imprisoned or forced into exile, Mama Sisulu was one of the few brave women who kept the fires of liberation burning within the country. They continued to organise and mobilise under the most difficult of conditions at great personal cost. Their tireless work in organising grassroots struggles laid the basis for the revival of the black trade union movement and the emergence of the mass democratic movement. Among the many roles she played within the ranks of the liberation movement, she actively campaigned and lobbied to ensure that no discussion on the future South Africa would be complete without giving due regard to the position and status of women. As a trained nurse and professional, she had in the course of her work come into direct contact with the realities of the lives of black women of South Africa under apartheid. The triple burden of women on account of gender, race and class was stark. It was black women who bore the brunt of deprivation, who couldn’t access quality health care for themselves and their children and whose infants had a higher risk of mortality. She saw then that unless women could have equal access to opportunities that would enable them to make a better life for themselves and their families, South African society would not flourish. Those who had the privilege of interacting with her in various forums both before and after our liberation will attest to the fact that she was always committed to advancing the gender struggle. 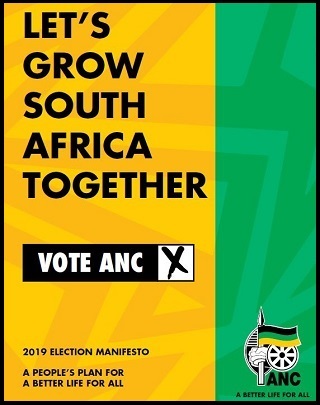 It is significant that together with non-racialism, building a South African society based on non-sexism is a central objective of the ANC; and we have Mama Sisulu and her peers to thank for this. The actions the women of today undertake in furtherance of gender equality is the continuation of a long tradition that was given momentum through a series of events; among them the formation of the Bantu Women’s League in 1918, the formation of the Federation of South African Women in 1954, the adoption of the Freedom Charter in 1955, the formation of the National Women’s Coalition in 1992 and ultimately, the adoption of a new democratic South African Constitution in 1996. Mama Sisulu was among the women who founded FEDSAW and was part of the drafting team for the Freedom Charter, a document that explicitly and unequivocally stated that women’s rights were human rights, and included women’s right to the franchise as a core principle. Today, 24 years since the advent of democracy, we have come a long way in the struggle for women’s liberation. At the same time, we acknowledge that we need to do more to stamp out the evils of patriarchy, of gender-based violence, of unequal pay for equal work and of discrimination against women. 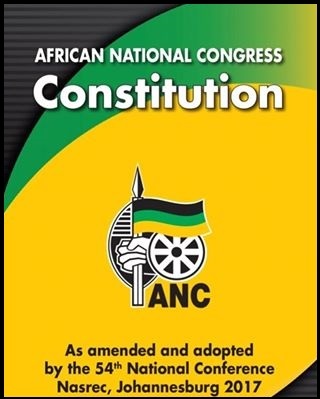 Government, led by the ANC has a concerted programme of action to give expression to the provisions of the Bill of Rights insofar as this relates to women. Educating and empowering the girl child is the first step towards undoing the insidious effects of centuries of patriarchy. Women have to take a stand against discrimination in society. The have to organise, mobilise and assert their rights and be unafraid to speak out when these are trampled upon. Our women must follow in the footsteps of Mama Sisulu, who was concerned not just with her own emancipation, but with that of all the country’s women. Women must be their own liberators, for it is women who are the bedrock of our families, of our communities and of society. It is women, as Mao Zedong famously said, who ‘hold up half the sky’. 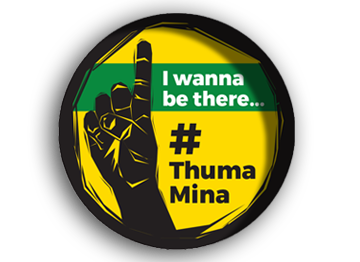 The Thuma Mina campaign aims to galvanise South African society towards a transformative vision; but we should never lose sight that its essence is about giving due recognition to big actions as well as small. There may be those among us who wonder whether their small action carries any weight. Mama Sisulu’s example shows just what is possible when small actions turn into a trickling stream, and lead to a flood. The actions of the women of 1956, of Mama Albertina Sisulu and of other activists of her generation inculcated a tradition of gender activism of which South Africa can be justifiably proud. Today, we see it in the young women mobilising their fellow students on campuses against tuition fee increases. We see it in the women, young and old, who led a day of total shutdown in protest against gender-based violence. We see it in the crowds of women who gather outside our courthouses to support victims of sexual violence. The forerunner of these brave heroines is Mama Albertina Sisulu. As we mark the centenary of her birth this week, the most fitting legacy we bequeath her is the implicit recognition that she blazed a trail for today’s women activists. To uphold her legacy, it is up to today’s women and men to assume the mantle of struggle.